Finally getting their flight attendant wings, Lucy and Carol, along with Mr. Mooney, put on a musical featuring the original stars of the silent movie, Wings (1927), Buddy Rogers and Richard Arlen. Special Notes: This is the follow-up episode of the two-parter. 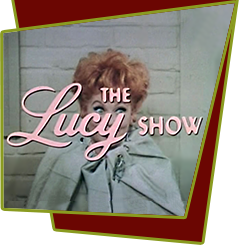 After this two-part sequence, the flight attendant plot thread is dropped without explanation, and Lucy is back at the bank as Mr. Mooney's secretary! Lucille Ball introduced the song "Hey Look Me Over" in the 1960 Broadway musical "Wildcat".